Imagine a dream-like excursion for school children where a lavish spread of extraordinary attractions not but offers a lust means unlimited fun and entertainment but offers a thrilling challenge to their imagination and excitement levels. Welcome to Ramoji Film City School Excursions, a memorable break from the classrooms where expansive natural settings are brightened with innumerable colours of fun, thrills, games and entertainment, all complemented by specially designed shows at the world's largest film studio complex certified by the Guinness World Records. This man made wonderland delivers an unmatched experience for school students through a blend of thematic and interactive attractions, sightseeing pleasure and activities besides an endless carpet of lawns and serene touch of ambience... all to refresh and rejuvenate. Apart from our alluring thrill rides, game zones and play areas, the celebrated journey into the interactive world includes live shows at Eureka, thematic trip into Ramoji Movie Magic, games at Fundustan and thrills at Borasura, a rendezvous that school children can never forget. Amid safe and, secure settings we also ensure comfortable stay and healthy food. Edutainment Tour to Magic of Cinema, the immersive experience of magic of cinema can also be an eye opener at Ramoji film City for college and school students which systematically showcases its treasure trove and puts you into an exploration mode. At Ramoji Film City, college and scool students can visit RAMOJI ACADEMY OF FILM amp; TELEVISION, the state-of -the -art academy that imparts finest education in filmmaking. 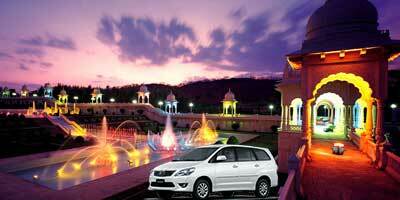 The academy has sourced its strengths from Ramoji Film City which has been associated with the film industry for long. For somebody keen on audio post-production should visit Symphony at Ramoji film City - one of the world's most advanced digital audio post- production facilities. The Equipment Department that stocks the vast range of filmmaking paraphernalia is to be seen to be believed. You can go to 'Parade ' and be introduced to the massive storehouse of props and costumes. While the flex house would give you a glimpse of the facades, the Mud Village will bring you closer to the experience of village ambience. The exclusive nursery of AGRO DRIVE will introduce school children to varieties of exotic flowers, plants and shrubs. Maya, the vast and fully equipped set construction facility will leave you awe- struck, considering the impression of scale and magnitude you would get. You can drive through Harmony - the home for awesome artistic furnishing facilities and through Big Shooting floor or BSF which is one of the biggest shooting floors in Asia. Holidays are a reason enough to leave behind the routine life. 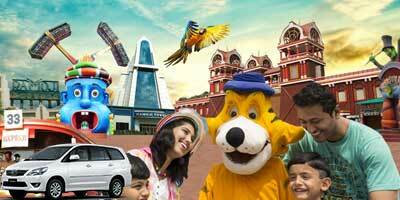 Ramoji Film City offers excellent holiday packages. Well appointed hotels with in Ramoji Film City offers a wide range of stay options and a world of amusement, luxury, fun and magic of cinema. The best part about Blockbuster Holidsys is the choice of accommodation depending on individual preferences and budget. Tailor-made packages are available offering a range of facilities, special privileges and services and accommodation in luxury hotel Sitara and comfort hotel Tara. Sitara Luxury Hotel, The luxurious hotel offers extravagant royal and theme suites to make kids stay memorable. Opulent facilities, unmatched comfort and impeccable service define this one-of-a-kind hotel, set in breathtakingly beautiful environs. 154 luxurious air-conditioned rooms, eight themes suites and four royal suites of the hotel are all tastefully appointed and include numerous amenities to make school children and teachers stay comfortable and memory to cherish on. Tara Hotel, the economy hotel for schools where you can experience uncompromising standards of service at an unbelievable price. Tara offers outstanding services and facilities, its 1 26 rooms glowing with understated elegance are perfect destinations for comfort and leisure. Sahara Hotel, with shared accommodation. The budget college friendly hotel is also the perfect host. It can accommodate about 500 people at a time. Facilities match the best in the category and the surroundings are meticulously maintained to be in tune with the stringent quality standards that Ramoji Film City offers. Separate stay arrangement can be made for both Male and female students. Those who want to stay in Ramoji Film City for a memorable tour experience, our Hotel Sahara offers dormitory-style group accommodation ensuring comfort and safety including separate blocks for girls and boys. 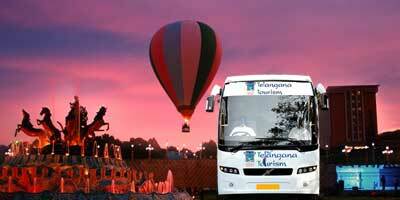 Shantiniketan Hotel, Economy Accomodation at Ramoji Film City Hyderabad. Shantiniketan at Princess Street offers excellent accommodation for the guests. Comprising of 6 blocks and 56 deluxe rooms, Shantiniketan hotels offers a decent stay along wtih delectable delights of the Princess Cafe. Located in the dream environs of Ramoji Film City and just a kilometer away from the luxury hotel Sitara and comfort hotel Tara, Shantiniketan is ieal for great family stay.